Hiring a Staten Island Live In Nanny from ABC Nanny Source can help keep any household running smoothly. 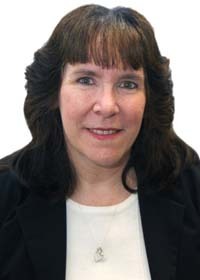 Janice has cared for children of all ages as a Staten Island Live in Nanny and provides the highest quality of care! "I love working with children and have experience working in various childcare settings. I love helping children learn and grow through music, reading, art activities and play. Whether we are doing a messy art activity or marching to music, I enjoy guiding them through new activities and learning experiences. If I was asked to describe in one sentence the reason I have chosen to be in the Staten Island Live in Nanny profession over any other it would have to be because families are important. Caring for children in their home is a more relaxing and comfortable atmosphere than a childcare facility. I have been serving in some form of childcare experience for over 20 years and can honestly say I love what I do! I feel the children are fun, loving, creative, energetic, and compassionate individuals. They have a lot of things to communicate to you; all you have to do is listen with your heart and respond with love. My goal as a Nanny is to provide quality care for the children entrusted to my care, to treat them with love, respect and compassion as I would my own children, and to respect the wishes of the parents in regards to how they would like their child raised. I am willing to do housekeeping that includes laundry, dishes, vacuuming, and meal preparations. If I had to describe myself in five adjectives I would say that I am loving, compassionate, trustworthy, dependable, and diligent. Activities that I would like to incorporate in the daily plan for the family I care for would include reading stories, doing art activities, singing songs - dancing and marching to children’s songs, exploring toys - blocks, cars, puzzles, shapes. If asked to describe the perfect family seeking a Nanny like me I would hope they would be organized, but not afraid to let children be messy, structured, yet flexible with daily activities." "Without hesitation, I highly recommend Janice. I worked with her with the same age group of children. We both ran our own classrooms and worked together to create a safe and curricular based environment for young and older toddlers. We would have to work close together each day to follow the schedules of 10 children. We also created art activities and learning experiences together for our classrooms. We followed policies and had to do paperwork and lesson plans each day of the week. Janice went above and beyond her responsibilities for her children and made sure her classroom was orderly and age appropriate for each of the children. Janice has been a role model for me through any questions I had about early childhood development. Janice is very dedicated to her job and will spend her whole day and even her days off to make sure that all of her work is done properly." "Janice was my son’s toddler room teacher at his daycare. He loved her class, to the point that he often wasn't ready to go home when my husband or I would arrive to pick him up. Every day, he came home excited about whatever book they had read, song they had learned, or art project they had finished. In the six months he was in her classroom, starting at 18 months, he learned so many new words and signs and really felt at home in her care. Months later he still talks about her class. At the end of each day, I felt as though I had been with him because Janice took the time to fill out detailed reports for each child, highlighting key moments in the day. There were many times I arrived when the children were still napping, and rather than sit still, she was using that time to write notes about the children or ensure her classroom was clean and organized. She has a kind yet firm way with the children. In her care, they learn to sit nicely for snack time, clean up their trash and wash their hands. But they also know they are free to be children, marching around the room to silly songs, playing with favorite puzzles or running around the playground. We miss having our son in her classroom, and I'm certain there are many others who were equally impressed with her teaching. We highly recommend her to any family as a Staten Island Live in Nanny!" "I am the parent of one of Janice's students. She has been such a wonderful influence in my child's life; I hate to see her go. She has an amazing way with children. I have watched my little one learn so very much while under Janice's care. On many a Saturday my child has asked for Janice and is always disappointed when I have to explain that she is stuck with me until Monday. I would hire her for myself in a second if I could. I would recommend her for any job with children. She shows incredible patience with even the most difficult children always showing love and compassion. I wholeheartedly recommend her to any family!"